HUZZAH! 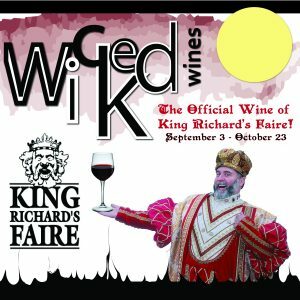 Share a glass of Wicked Wines with the King! HUZZAH! Lords and Ladies, we have BIG news for you. To properly celebrate the 35th anniversary of King Richard’s Faire, we are pleased to be the official wine of the King! 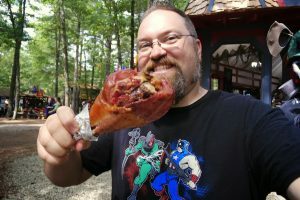 Escape your reality for a weekend [[September 3 thru October 23]] and pair a glass of Wicked Wines with a giant spit-roasted turkey leg while roaming around the magical 80 acre Renaissance fair. 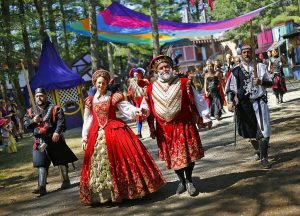 If you live in New England and have yet to attend King Richard’s Faire, now is your time! 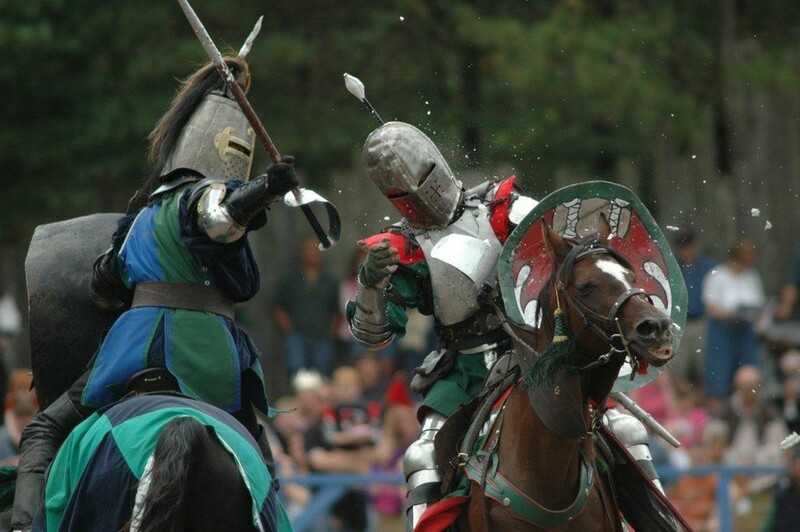 The renaissance fair is held in Carver, MA [[just a short ride from Boston, Central Massachusetts, Cape Cod and New Hampshire]] and offers endless family-friendly entertainment. With 8 stages, a Royal parade, dozens of crafts, food, drinks, musicians, games, animals, comedians, and acrobats, you will leave feeling a sense of euphoria that only KRF can make you feel. Make a day of it [[parking is always FREE!]] and grab a schedule when you enter so you don’t miss a beat. 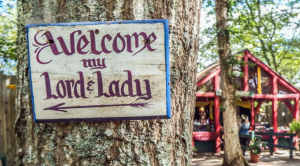 Rent a costume, get your hair braided, grab a glass or 2 of vino or mead, take a photo with the King and get lost in the enchanted woods until closing time. Given all of the new vendors, wine and food options, the 35th anniversary is gearing up to be the best year yet; so pack your favorite sneakers and come hungry and thirsty! Featured wines will be: Wicked Pinot Grigio, Wicked Merlot and Wicked Rose and the Wicked street team will be on-site Saturday, September 10 and Saturday, October 8 hosting wine tastings. We will be giving away tickets to KRF every Wednesday until the Faire ends, so rally up your troops and head over to our Facebook page to win. We want YOU to share a glass of Wicked Wines with the King! 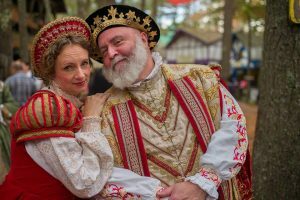 This entry was posted in Events and tagged Boston, capecod, centralmass, Entertainment, familyfun, kingrichardsfaire, newengland, newhampshire, renaissance, renaissancefair, turkeyleg, Wicked, wickedwines. Bookmark the permalink.